PGT-SR for structural rearragements consists in the examination of the embryo’s genetic material for the presence of abnormal fragments or entire chromosomes involved in translocation. It has to be stressed that carriers of chromosomal translocation are also exposed to higher risk of disorders in the number of other chromosomes, unrelated to chromosomes involved in translocation. It is recommended to complement the PGD TRS targeting the chromosomes involved in translocation with the comprehensive diagnosis for aneuploidies in all chromosomes – PGS NGS 360. PGD TRS™ preimplantation testing allows examining the cells collected from embryos for the presence of abnormalities resulting from balanced reciprocal translocations in parents. This testing technique is adapted to the needs of a given patient. Translocation means the movement of a fragment of genetic material from one chromosome to another. Most often, the altered arrangement of the genetic material on chromosomes is inherited from one of the parents. In the case of balanced translocation, the genetic material is not lost or in excess, but only has altered location, e.g. fragments of two or more chromosomes change places, or chromosomes join each other. A carrier of a balanced translocation produces abnormal reproductive cells, thus preventing pregnancy, causing miscarriages or disease syndromes with chromosome abnormalities as the underlying cause. Why is it worth to perform PGD TRS™? Most reproductive cells of the translocation carrier are abnormal, which causes poorer prognosis for fertilisation and development of healthy children. PGD TRS allows selecting normal embryos, thus significantly reducing the risk of reproductive failure. PGD TRS allows checking for the occurrence of a “de novo” abnormality of the genetic material number in the embryo. Preimplantation diagnosis reduces the risk of miscarriages and increases chances for giving birth to a healthy child. 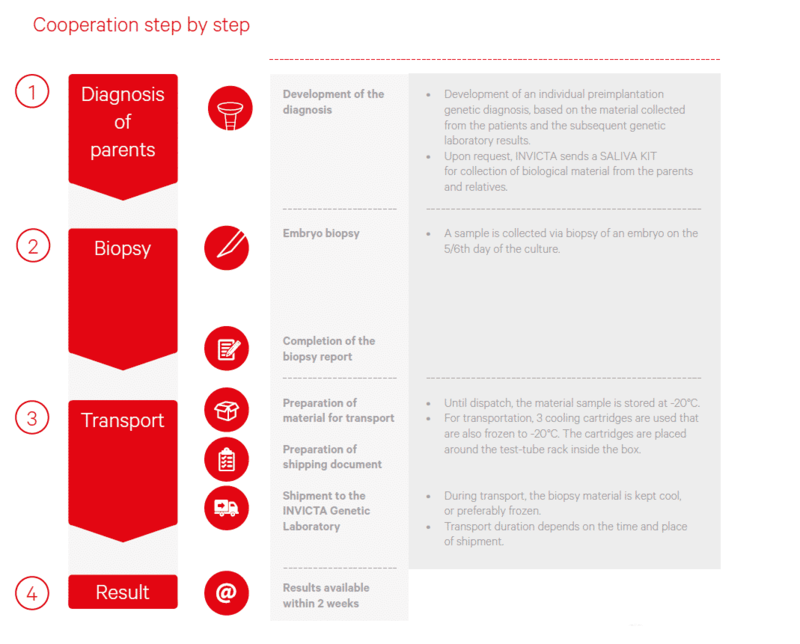 The first in the world use of NGS (Next Generation Sequencing) technology in the clinical practice in preimplantation diagnosis for translocations. Figure 2. 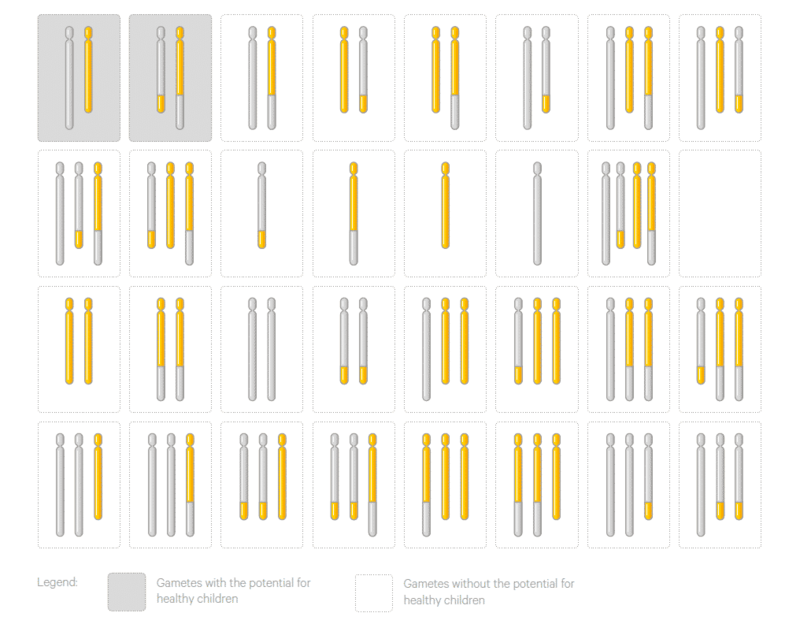 32 possibilities of the genetic material distribution in the reproductive cells produced by the balanced translocation carrier. Confirmed presence of a translocation in an individual trying for a child. The test provides information on the status of chromosomes involved in translocation. The test does not determine the status of other chromosomes. The absence of lost or extra fragments in chromosomes involved in translocations does not exclude the presence of changes in the number or structure of other chromosomes. The probability of detecting derivative regions of translocations depends on the location of the points of breakage on chromosomes and on the size of regions being subject to translocation. The type of technique used in the test is determined depending on the individual situation of a given patient with confirmed translocation. Techniques other than NGS may be applied in the test if the patients’ situation so requires. 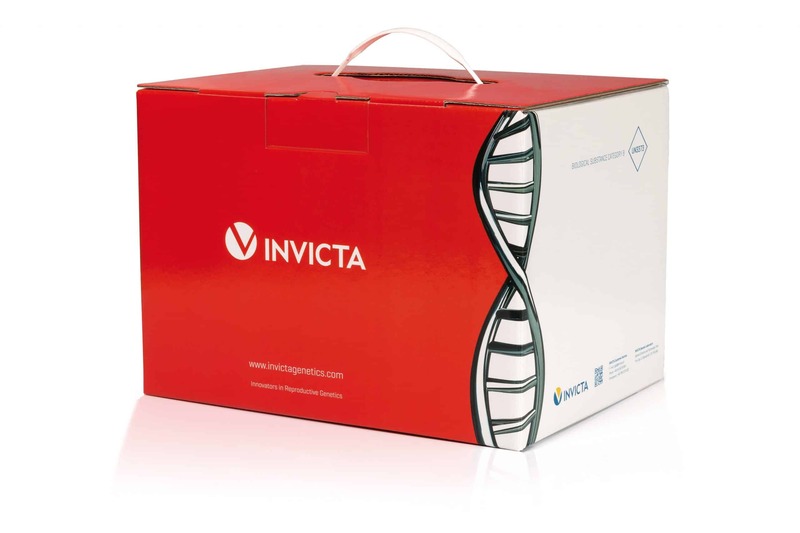 The NGS technique for this test has been validated for detecting genetic material losses or gains involving a fragment larger than 5 Mpz in the material constituting blastocyst cells. The reliability of this technique is lower in case of translocations where breakage regions are located near telomeres or centromeres. PGD TRS™. Pre-implantation diagnosis for translocations.